Feel the motion of fresh air while you paddle your cycle passing by the beauty of nature. There are exotic and amazing places and sceneries you will greet on the way and store these beautiful memories for a lifetime. With the support of experienced staff, support vehicles and complete camping facilities our adventurous clients can enjoy the custom designed mountain biking tours and leave fully delighted and satisfied. 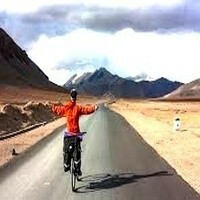 Mountain bike tour includes Indus Valley mountain bike tour, Leh city mountain bike tour, Khardunga La mountain bike tour and few others. 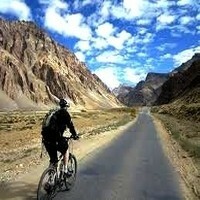 There are also other mountain bike tours within Ladakh such as mountain bike tour to Nubra Valley, mountain bike tour to Pangong and mountain bike tour to Tsomoriri. Choose the one that is most exciting for you and set forth on this adventure.